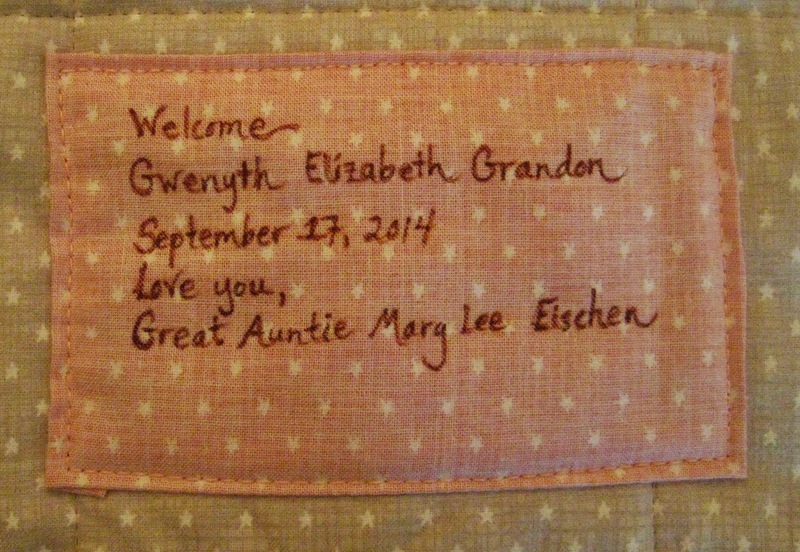 We have a new baby in our family: Gwenyth Elizabeth Grandon. She is the baby daughter of Angela and Zach. 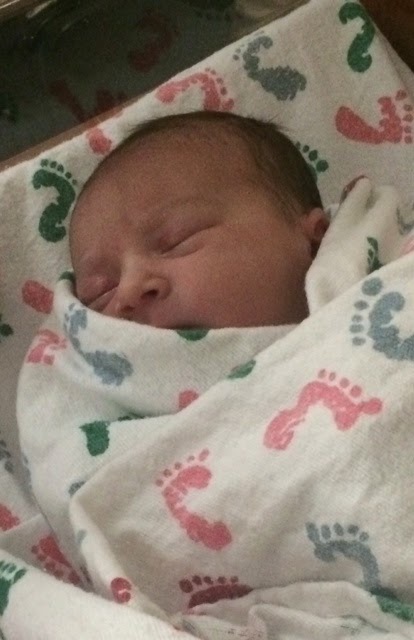 She was born September 17, 2014 at 1:28am. She weighed 7 pounds 1 ounce and her length was 18 inches long at her birth. 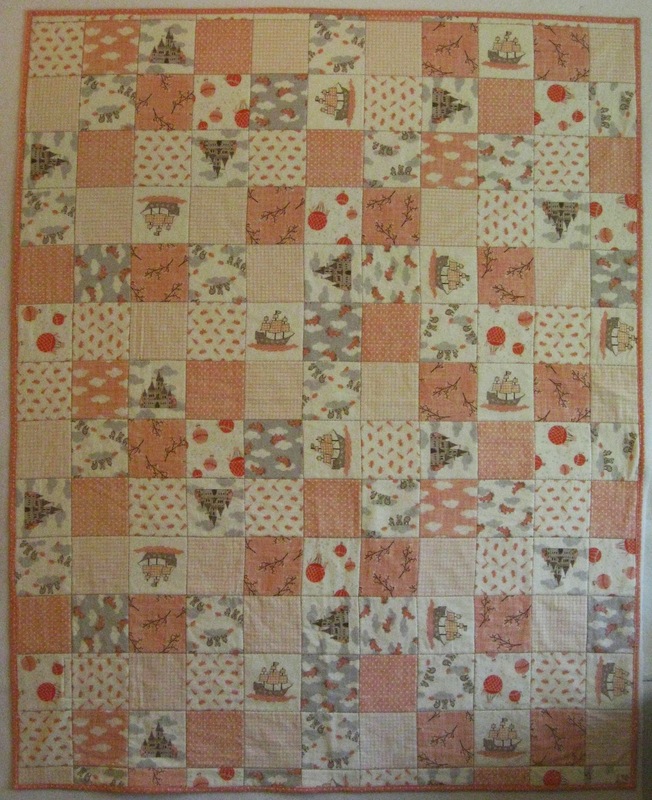 A tradition that I've begun is to create a baby quilt for my nieces and nephews new babies. 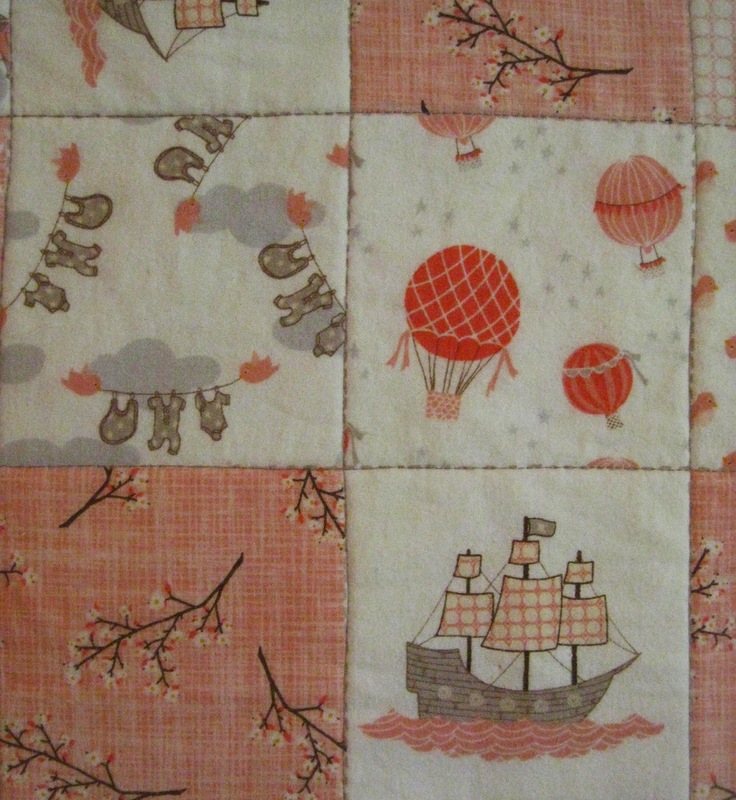 This is a fun project that allows me to think thoughts of love for the new baby and the parents and all of our family. It is often a very joyous time. Our family is very big—Bob, my husband has 11 siblings and their children are all creating families. My daughter and sibling’s children have not started families; that may be in the future. Sometimes I ask the parents for an idea about colors for the baby quilt. Sometimes, I have an idea that I think will work. I always hope these handmade quilts are used and well received. Angela and Zach were interested in colors of pink and grey. I went on the search for fabric with my friend and sister-in-law, Ruth Rosimo last summer during a visit to Portland, Oregon. We found this very cute fabric. 100% Cotton flannel fabric, with cotton batting. Machine stitched. 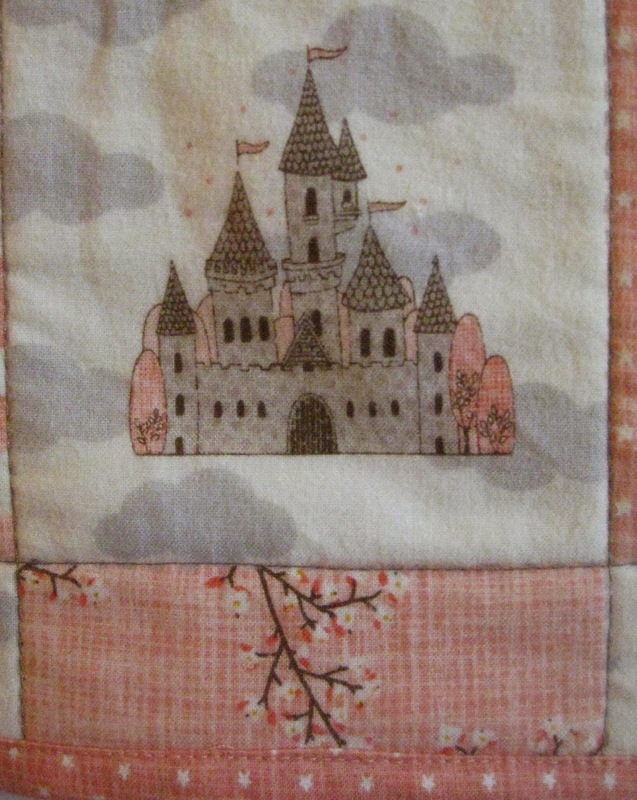 Close up detail of Gwenyth's quilt. Sweet growing and sleeping, dear Gwenyth.